Family Cancellariidae. Composed of several hundred species found in tropical seas (rare occasions in temperate regions) worldwide. 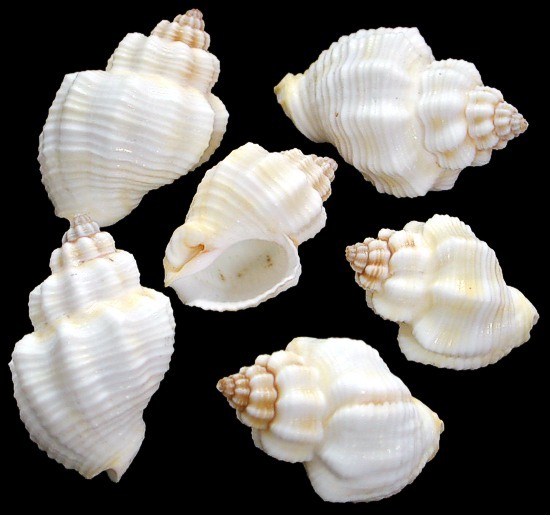 Common shell of the Indo-Pacific region preferring the shallow tidal zones. These are small solid shells. Most have a striking cross ribbed sculpture. It has a drawn out aperture with a short canal at the base. The inner lip is plicate and the outer ribbed within. The shell has no operculum.